a third year fashion business student tell about her experience. My name is Giulia Toni and I am in my penultimate year at Polimoda. My dream is to become a manager in the fashion world, to direct and to manage my own business. I have always been passionate about the world of fashion. After graduation I knew I wanted to be in the fashion business, but I felt the need to deepen my knowledge of the English language, so I lived for a time in London and later in Australia. This allowed me to seamlessly access the courses of the Institute Polimoda. During the academic year, we will follow two projects: one at mid-year and one at the end of the year. The first is a group project, which allows us to share and learn about different points of view by encouraging interaction and interchange. For the final project, we have the opportunity to choose a partner to develop our creativity with a person allied to our ideas. The environment is competitive and challenging, and the training tight and structured. This gives us the insight to the intensity of the world of design and fashion work, with the greatest possible preparation. “The Italian Beauty. Designed” project was a different type of experience, because we could follow it individually. This made it even more exciting and allowed me to express my creativity, as every decision and detail was entirely mine. Facing this challenge, I gained more confidence in myself. HOW HAVE YOU CREATED YOUR PROJECT? I studied the material provided by the company and I deepened my knowledge of this famous brand. After several attempts in the design of the product, I reached the conclusion that the peacock, with its colorful effects, could give birth to a new product within the brand on which I was working. While creating my design, I wanted to follow the philosophy of the brand, but I also added some details that would make the project unique and modern. The thing that I enjoyed the most was to be able to play around with the colors. Starting with the CRT 095, “Peacock Feathers”, I imagined the idea of a texture made up of the silhouette of a peacock. I was inspired by the Art Nouveau style, looking at a window of a famous museum. I then decided to conceive a modern design, stylizing and simplifying the main lines of the design. When the light reflects on the feathers of a peacock, it brings life to many colors. 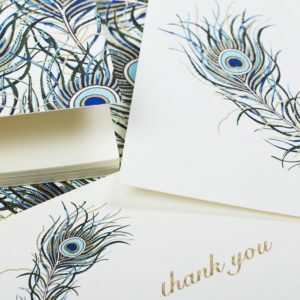 The color variations that I created are the representation of the reflected light on the peacock feathers. It is said in Greek Mythology that peacock tail feathers have 100 eyes. All the colors shown in the layout are the soul reflection of the peacock eyes, hence my idea,“A Fall of Eye-Feathers”. WHAT IS YOUR OPINION ABOUT THE BRAND ROSSI1931? My opinion of the Rossi1931 brand is very positive. Before participating in the competition, “The Italian Beauty. Design”, I knew little about the brand, basically just having awareness to its reputation in the world of decorative papers. I knew that Rossi1931 has always stood out in the creation of its products. After participating in the project, and after I got to know the brand better, I am even more impressed, because it has such a design history. The fact that it is headquartered in Florence means that the brand is inspired by mainly Florentine Renaissance drawings, but the surprising thing is that they also include modern and innovative designs. I think their success is undoubtedly due to their craftsmanship and constant investment in new ideas. WHAT IS YOUR OPINION ABOUT ROSSI1931 PRODUCTS? Since I discovered Rossi1931, I have fallen in love with the way they customize and design such fine decorative papers, designs and colors; they create something magical. It would be difficult for the industry to imagine the depth of the designs and the quality of the paper. With this kind of decorative papers, one can create a host of ideas and crafts from artistic projects to decoupage. WHAT IS YOUR OPINION ABOUT ROSSI IN COMPARISON TO THE MAIN COMPETITORS? Unlike its competitors, the Rossi1931 brand carries only high quality products. Despite having designs, which at first glance may seem simple, they always manage to put in some extra detail that make the designs extraordinary. This is what has made Rossi1931 stand out from the others after these 85 years of their craft. I am very happy to have participated in the project Rossi1931.